Join us each week for fun and lively conversations surrounding a variety of social media topics. You ask... Industry leaders answer. You ask! … Industry leaders answer! Call in and be on our podcast with us! In this episode: Today we bring you an extended episode and a special treat! 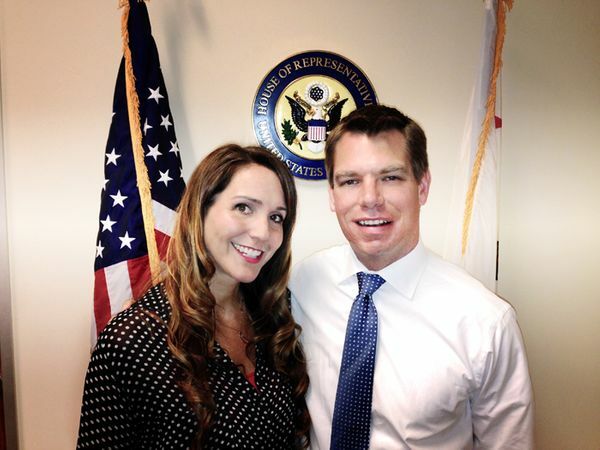 In our show opener, find out why podcast host, Denise Holt, calls her friend, Congressman Eric Swalwell, “The Millennial Congressman.” At age 33, Congressman Swalwell has proven to be a true and dedicated leader who uses social media and digital technology brilliantly to stay connected with his district, whether at home or in Washington DC. Listen in to find out how… This week’s questions are answered by Michael Brito, Natascha Thomson, Chris Boudreaux, Liz Bullock, and our Social Business Monster, Ric Dragon. What defines quality in content, and regarding SEO and rankings, what matters to Facebook and Google in their algorithms? Where do you see B2B marketers going wrong with their inbound marketing efforts? There are so many advocacy platforms, how do I choose the one that's right for my company? What is your opinion regarding creating social media policies? Is it a case of less is more? Also, where do you draw the line in telling your employees what they can and can't say through social media? People keep talking about why Google+ is so important to include in your marketing campaigns. What does Google+ offer that other channels don't? Full list of podcast panelists: Ric Dragon, Chris Boudreaux, Michael Brito, Ted Shelton, Liz Bullock, Chuck Hester , Natascha Thomson, and Rob Peacock In today's ever-changing world of social business and digital transformation, staying up to date with cutting edge technology and best practices is not easy. Here's your chance to ask industry thought leaders any and all of your burning questions! Get relevant advice from those who know best... Call the Social Business Helpline at (855) 768-3553. Leave a voice mail question to be selected for a future show.